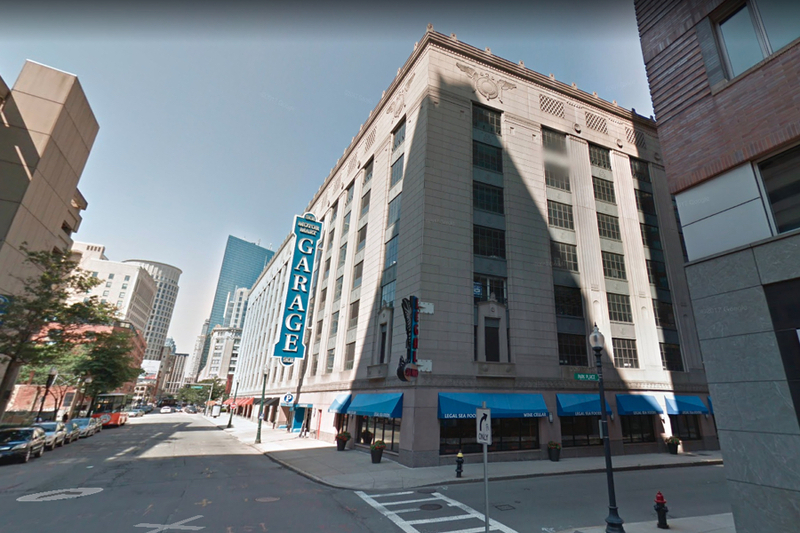 Yet another parking structure in Boston might soon be home to a brand new residential tower, this time the gigantic Motor Mart Garage in Back Bay. CIM Group, the developer that bought the more-than-1,000 space Stuart Street garage in 2016, has filed a letter of intent saying it plans to construct a 17-story, 278 foot tall, 233,500 square foot, 280-unit apartment and condo building there, along with some new street-level retail. The developer tells the Boston Planning and Development Agency that the number of parking spots in the garage will be reduced to 600 from the 1,058 available currently. Boston is, of course, not exactly overflowing with parking right now. It’s not yet clear what impact losing hundreds of spaces, while adding hundreds of residents, will have on the area. Prices for parking downtown are eye-popping enough as is. But the project is just one of many a growing list of big projects poised to transform the structures, including Millennium’ Partners’ 775-foot Winthrop Square project, which will replace a dilapidated (and unused) parking garage with a giant new tower, and a build proposed by Don Chiofaro along the waterfront atop the Boston Harbor Garage. Dating back to 1927, the nine-story garage boasts 50,000 square feet of space and is also home to several restaurants, including Maggiano’s Little Italy and a Legal Sea Foods. It was last renovated in 1999 with concrete Art Deco features to restore its “Jazz Age style and groove,” according to the lot’s website, which also touts its proximity to attractions downtown and the theater district. That has made it a prime spot for development. The firm also owns the 11-story office building and parking garage in the South End on Washington Street and Harrison Ave, which it purchased along with an adjacent 11-story office building in September.